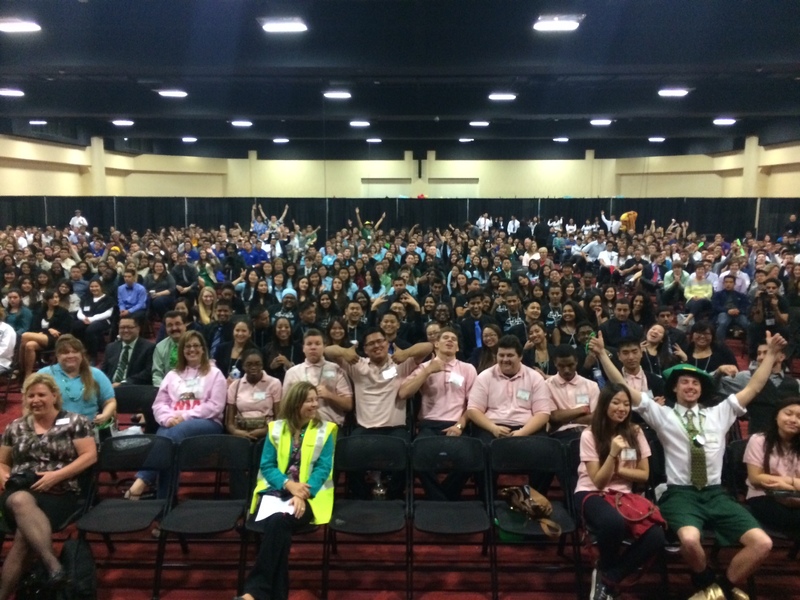 Oakland, Ca, March 16-17, 2014: Jay Speck County Superintendent of Schools of Solano County welcomed over 1,300 high school entrepreneurs as they arrived in the Bay Area this past weekend for the 10th Annual San Francisco Bay Area Entrepreneurship Conference and Trade Show. The event, hosted by the Solano County Office of Education and James Logan High School, was held Sunday and Monday, March 16-17, 2014 at the Oakland Convention Center. 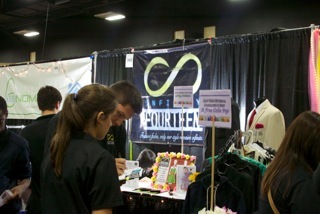 The young entrepreneurs were from Virtual Enterprise and Career Technical Education classes in New York, Illinois, Oregon, and California. The sold-out event was the largest trade show ever held in the Bay Area. The redesigned format included both student and teacher workshops on Sunday along with oral competitions. Student workshops were presented by Bay Area industry leaders including WIX, Inc., a web creation and hosting site used by many Virtual Enterprises across the country; Indiegogo, a crowdfunding lab; and Aspirationtech, a social media dashboard solution among others. Teacher workshops included HP Life-E Curriculum which is free online entrepreneurship curriculum and Junior Achievement’s free entrepreneurship marketing and entrepreneurship curriculum and a session on how to create a real business in your classroom. Monday’s opening ceremony for the Trade Show featured Patrick Schwerdtfeger, an international speaker and author who challenged attendees to “Think Bigger About Your Life”. 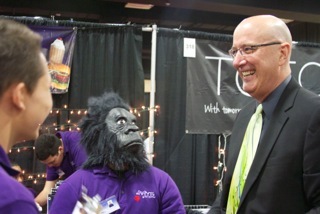 The Trade Show itself highlighted companies from California, Oregon, Illinois and New York.